From ordinary to magnificent. Recycled Andiroba flooring makes even the most modest room feel grand. When the manufacturing process unique to Staybull® is used, the multi-faceted golden-brown to reddish brown color and grain variations will enhance your modern or contemporary décor perfectly. Your new Andiroba floor will elicit praise from those with even the most discerning taste. Receive a free quote and start making plans to elevate your space with eco-friendly Andiroba Staybull Flooring®. 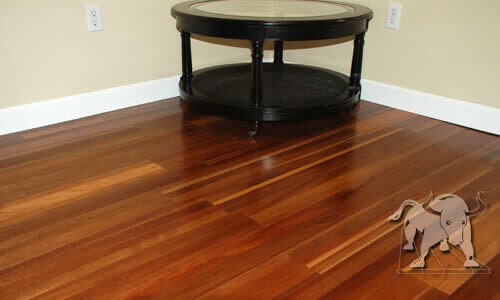 Andiroba is a light red mahogany color that darkens when exposed to light. Andiroba also features a straight to interlocked grain with some ripple.